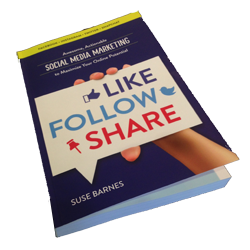 Social media continued to gain popularity in 2011 and will grow even more in 2012. If you haven’t caught the social media bug yet, 2012 may be your year! Below are some of the trends we expect to see in the next 12 months. The latest big idea from Google and major social network on the scene, Google will continue expanding Google+ in 2012 and plans to integrate the social network with many of their other properties such as SEO, Reader, AdWords, and YouTube. Though most social media users still spend the majority of their time on Facebook currently, it’s a good idea to create personal profiles and business pages on Google+ now so that you’ll be one step ahead while interest in Google+ continues to grow. Furthermore good implementation of your Google+ page can produce search engine ranking benefits. While Google+ is giving Facebook a run for its money, Facebook is projected to reach 1 billion users in 2012 (via dreamgrow.com). We’ve seen major changes with Facebook since Google+ entered the scene, not least of which is Timeline. This new profile format encourages users to “live their lives via Facebook” and use the social network as a virtual scrapbook. Although introduced a year ago, timeline is yet to be implemented on all personal profiles. You still have a choice. However, to remain competitive in 2012, Facebook will be releasing Timeline for brand pages and introducing mobile ads. Additionally, Facebook’s 2011 purchase of Gowalla is expected to result in some 2012 enhancements to Timeline. (This links up with the Geolocation trend as described below.) Mobile meets local meets social meets viral. While 2011 was the year of the URL shortener, 2012 will be the year of advertising. We are used to seeing sponsored tweets, but expect to see increasingly prominent ads on Twitter this year. Additionally in 2012, Twitter will continue to be an important part of the world news landscape. In 2011 we saw microblogging play a major role in sharing news about Arab Spring and Occupy Wall Street, and the 2012 presidential election will make Twitter usage even more mainstream. While technology becomes more advanced across social media, Twitter aggregators are making excellent gains as well. Buffer, an aggregator that schedules your tweets based on when your followers are most likely to see them, is now offering ifttt (if this then that). The ifttt service allows you to specify an action (such as favoriting a tweet) that will then trigger another action (such as retweeting said favorited tweet). There are many combinations that can be used with this technology so it is definitely worth a try! Buffer also allows users to email tweets via your phone or iPad. 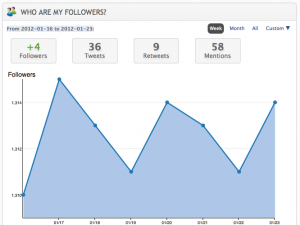 Crowdbooster, another scheduling tool, provides a chart with data regarding your most successful tweets. 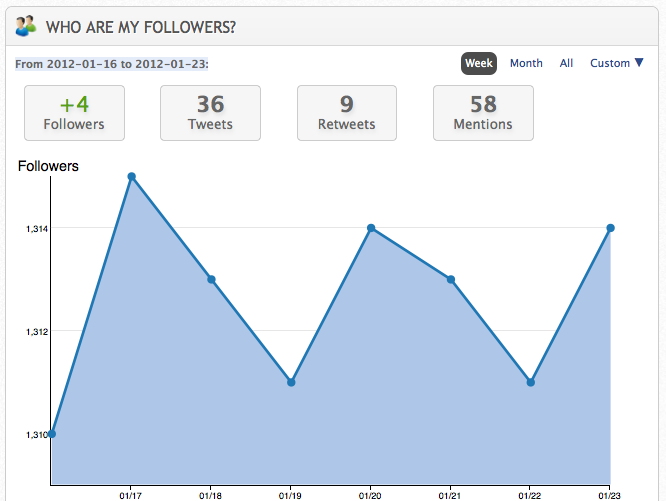 With impressions on one axis and retweets on another, you have the ability to view total reach of your tweets. Pretty cool! 5. Pinterest – Yes, pin your interests! Interest in Pinterest grew immensely in 2011. By allowing you to “pin your interests” with images you find online, Pinterest is blazing the trail for an even more image-centric social media landscape. Additionally, Pinterest is leading the way in the transition from long form curation (such as tweets) to push-button curation. Much more popular with women than men, because of it’s wide usage for planning weddings and looking at fashion, Pinterest is a niche network competing in some ways with the likes of Stumble Upon. As Pinterest continues to gain steam in 2012, more and more brands will sign on as well. Expect to see more “Pin It” buttons next to the “Like” buttons you see across the web. Using video to get the point across (whether you are an individual or a business) will become even more prevalent in 2012. With 4 billion daily views on YouTube, why not put yourself out there? YouTube videos are very sharable on practically every platform and 57% of internet users surveyed by Yahoo say they watch videos daily. People will be online to watch videos even more in 2012, so now is the time to get in the game. Social will be even more local in 2012 with services such as Foursquare expanding their offerings and geo-deals such as Scoutmob becoming more and more popular. Users can already add their location to tweets and Facebook posts, so expect to see more and more connection between location and social media in 2012. While certainly on the scene in 2010, infographics became even more ubiquitous in 2011. Practically anything can be expressed via infographics these days and soon visual.ly will be providing a service that lets you easily build your own infographics. There are already several such tools available. Infographics will be used more and more to display data. It’s easier to learn from a colorful picture than three paragraphs of statistics, right? We’ll be back soon with 2012 trends in search, so stay tuned! In the meantime what are your thoughts about social media trends for 2012? Please add your comments. Thanks! Yes, Heather! Pinning infographics on Pinterest would be super cool and a great way to share insightful (and fun) data with your Pinterest followers. Thanks for commenting! anything completely, however this article offers good understanding even. I was recommended this web site by my cousin. I’m no longer sure whether this submit is written by way of him as nobody else realize such distinct approximately my trouble. You’re wonderful! Thank you!